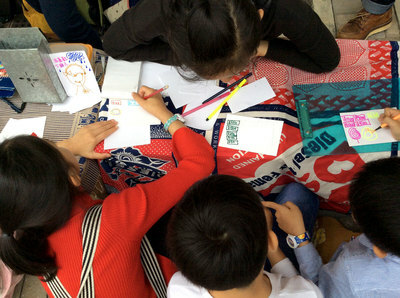 After “Once Upon A Goose” at Goose Neck Bridge in 2015, Art Together continues to extend “comic under the bridge” to other districts and invites three renowned local art units: KAM Siu Man, Me1 World, Tse Sai Pei to showcase story and history of Kowloon Bay and Ngau Tau Kok for “Once Upon A Horn” in 2017. 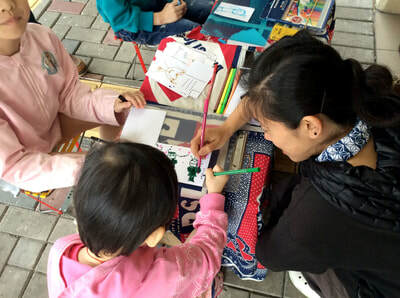 The project aims to challenge the stereotype about public art as visual decoration in public space only, and to provide more platforms for contemporary artists to communicate with audience in the urban public space. 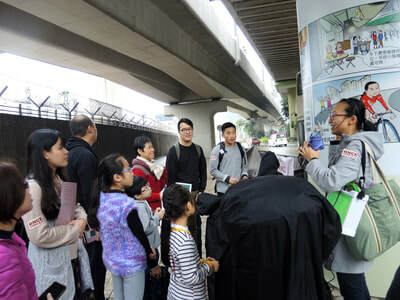 Besides, storytelling session by Uncle Child on the opening day and cultural tours during the exhibition period also welcome everyone to look into Ngau Tau Kok with us together. ­­Ngau Tau Kok (literally meaning a cow horn) was named because of its ox-horn-like coastline. Around 1960s to 70s, a large scale of land reclamation was conducted in the east and west of Ngau Tau Kok and it was not shaped like an ox horn any more. New industrial and residential area has been developed in the reclaimed land and it is the major residential area in Kwun Tong District. In 1924, Amoy Canning Company, originally from Xiamen, established its large factory in Ngan Tau Kok. The location of it is the Amoy Gardens nowadays. In 1965, Ngau Tau Kok village was demolished. 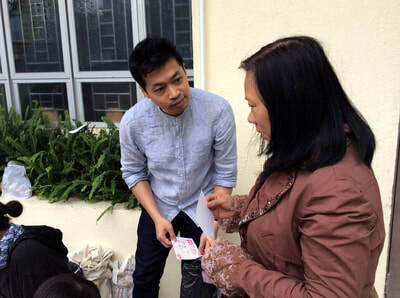 The village head accepted the government's advice and convince most of the villager to accept the indemnity and moved to the Yau Tong Estate. This village head afterwards became the administrative member of Kwun Tong Kaifong Association. It became the example of the Government handling of demolition of village and villager has lost their bargaining power for land exchange option. Ngau Tau Kok afterwards has been developed as the residential area. A large number of public and private housing estates was built here. Between 1967 and 1969, Mark IV resettlement blocks were built in Ngau Tau Kok. MTR Kwun Tong Line started its service in 1979, and brought much convenience for the residents in Ngau Tau Kok. The Lower Ngau Tau Kok Estate (Lower Ngau) was originally the public housing estate built in the resettlement area in 1967. 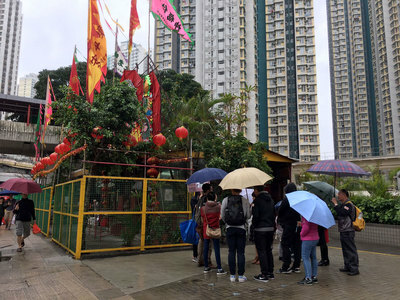 After Housing Authority was established, the name of “Lower Ngau Tau Kok Estate” was adopted, and the Estate was divided into two sections: I and II, with totally 14 blocks. Lower Ngau was included in “The Extended Redevelopment Programme” in 1985, and was demolished in 2011 for new residential buildings. "Lower Ngau” was the last resettlement being redeveloped in Hong Kong. 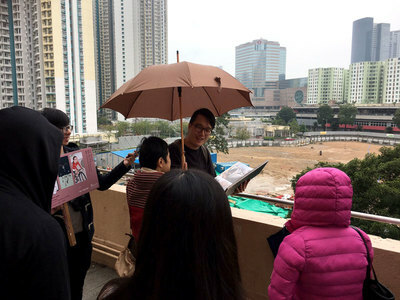 In 2016, the East Kowloon Cultural Centre has started to be constructed at the site of the previous Lower Ngau II and is expected to complete in 2020. The interior design of Lower Ngau has been improved from the former public housing estates. The Lower Ngau was the Mark IV resettlement blocks. Every flat has its own kitchen and toilet. There are different types of flat, 1. around 120 square feet flat; 2. around 300 square feet flat; 3. a large scale flat near meter room. The flats were bare shell and residents need to use the screen to divide the space. The corridor of Lower Ngau II linked all the blocks between Block 8 and 12. Such a long hallway was no end in sight, but had become the public area for the residents. 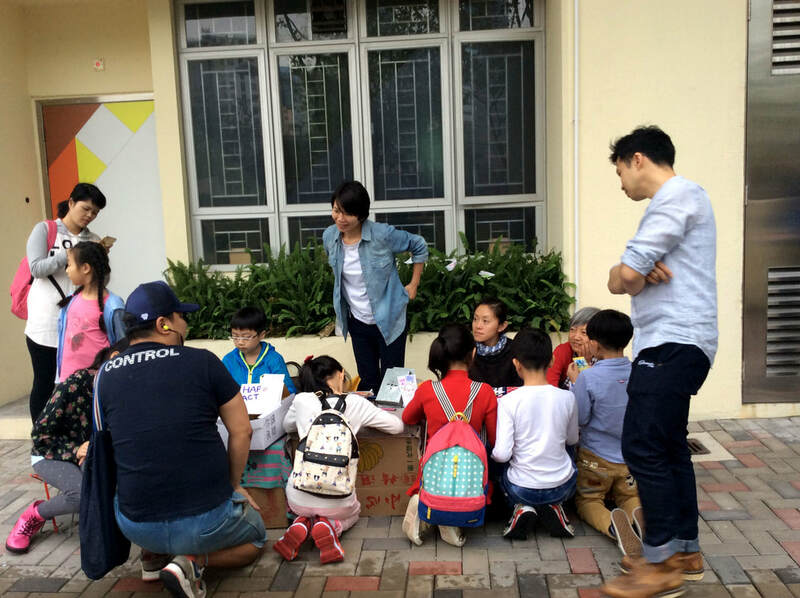 Children played hide-and-seek, cycling, and plastic soccer balls in the corridor. The adults occupied the 300 square feet open yard for mahjong games, worshiping and clothes drying. In the summer, folding cots were put in front of every door for cooling. Openwork brick was the common building material in early Hong Kong public estate. The walls of corridors and stairs were constructed to introduce the open air and sunlight into the buildings. Some residents dried salted fish on these walls, while some would throw rubbish and cigarette butts through these openwork bricks. 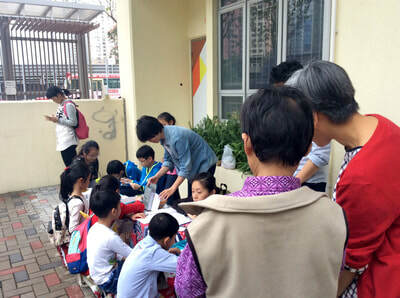 Most of the resident in Ngau Tau Kok Resettlement Estate were come from the squatter huts in King's Park Hill, Tai Wan Shan and Jordan Valley. Most of them have known each other and were both Teochew people, so the culture in Ngau Tau Kok Estate was based on the custom of Chaozhou. At that time, Hungry Ghost Festival seemed as one of the most important festival in the Lower Ngau. The scale of the festival was the top in Kwun Tong District. The temporary bamboo stages were built for the Chinese opera to please the ghost. And residents are invited to have dinner together on the football pitch. Although the Lower Ngau has been redeveloped, the Hungry Ghost Festival is still celebrated on the new football pitch. However, the scale of it is smaller and participants is fewer than before. Fook Tak is another name of Tudi Gong (the god of the earth and place). Fook Tak Temple, constructed with iron-sheets, located near the soccer pitch in Block 9 of Lower Ngau. Despite its simple architecture, many visit it during religious festivals. The age of the temple is estimated to be similar with the age of Lower Ngau. It is believed that the first group of residents in Lower Ngau relocated the gods from their hometown to worship for happiness and safety. Fook Tak Temple actually is an unauthorized architecture and supposed to be removed or demolished along with the redevelopment plan. However, the temple is still here after the completion of redevelopment. The future of it is still unknown. From 1980 to 1987, Amoy Gardens, the largest private estate in Ngau Tau Kok, was built at the site of the previous factory of Amoy Canning. However, Amoy Gardens is not related with Amoy Canning after various transactions in the past thirty years. In the late March 2003, Amoy Gardens was the major affected area of severe acute respiratory syndrome (SARS). 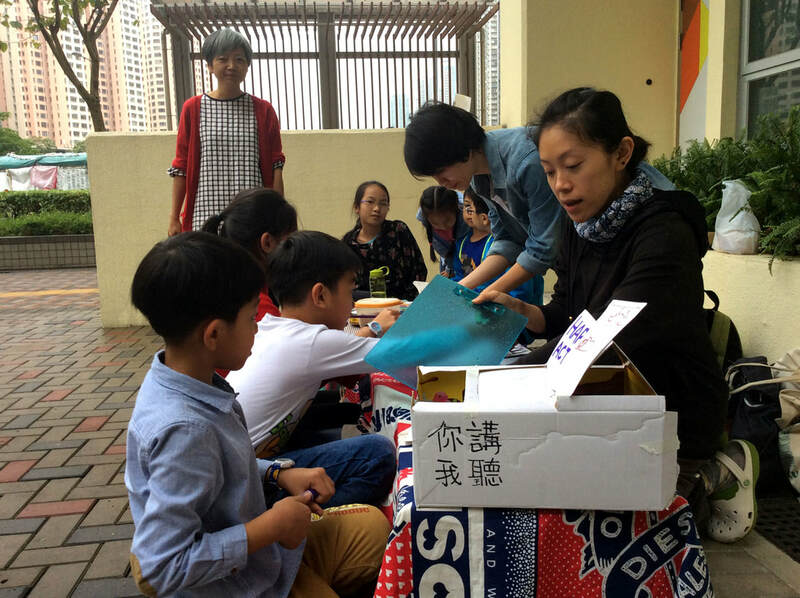 321 cases of SARS were reported in only two to three weeks, while most patients were infected in the units 7 and 8 on different floors of Block E in Amoy Gardens. 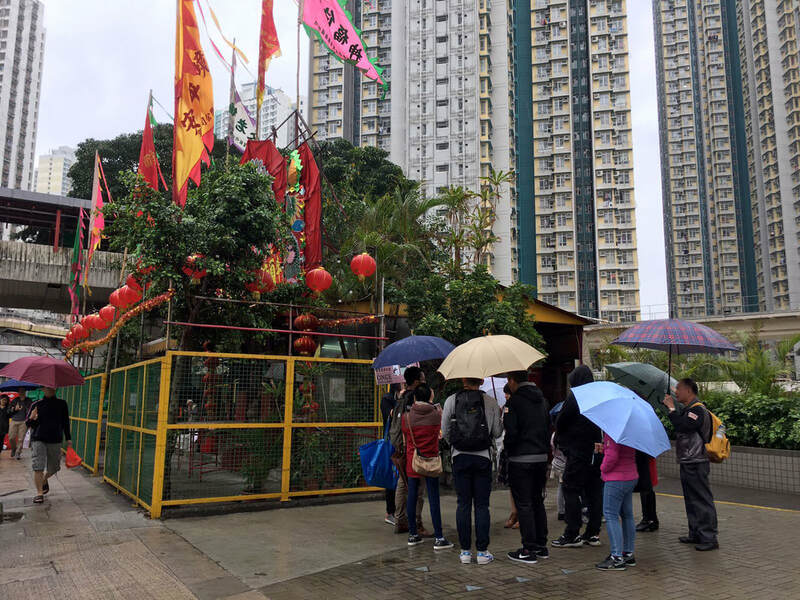 All residents of Block E were detained to Lei Yue Mun Park and Holiday Village and Lady MacLehose Holiday Village by the Government, until the decontamination in Amoy Gardens was completed. There was once a Ngau Tau Kok Ferry Pier in Kwun Tong District, nearby nowadays’ Wharf T&T Square. It started to operate in 1953 and managed by Lee On Ferry Company until 1956. Only two electric boats, which carried around 30 passengers each time, were in service for the routes between North Point and Ngau Tau Kok in the early times. In 1960s, Ngau Tau Kok Ferry Pier was moved to Kwun Tong because of the reclamation project. In 2015, several arts and cultural groups with their studios located in industrial buildings, established “Ngau Trip.” Ngau Trip Open Day was held every season since then, with open studios for workshops and sharing. 鄭寶鴻《幾許風雨 香港早期社會影像 1911-1950》. 香港： 商務印書館. 2014. Copyright © 2017 Art Together. All rights reserved.